As we age, dead skin cells do not slough off as easily, causing the skin to appear dull. Light, medium and deep chemical peels exfoliate the skin’s top layer to improve sun-damaged, unevenly pigmented and wrinkled skin. Peels provide a youthful look and restores a healthy, luminous and radiant appearance. 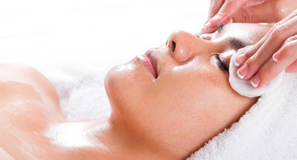 Spa Oro Blanco provides light and medium peels with little to no downtime.